Shiners Fannin Doc, or “Shiney,” is to be loaded up with Sweet Hija today for his next-to-the-last injection for his reaction a month ago that caused swelling in his hindquarters. I take him to the Equine Sports Medicine Center in Weatherford. At the Equine Sports Center, the doctors use the C&C Stock Trailer’s inside compartment to block gently the little colt, Shiney. Shiney has been a good colt and has not overreacted to his injections. 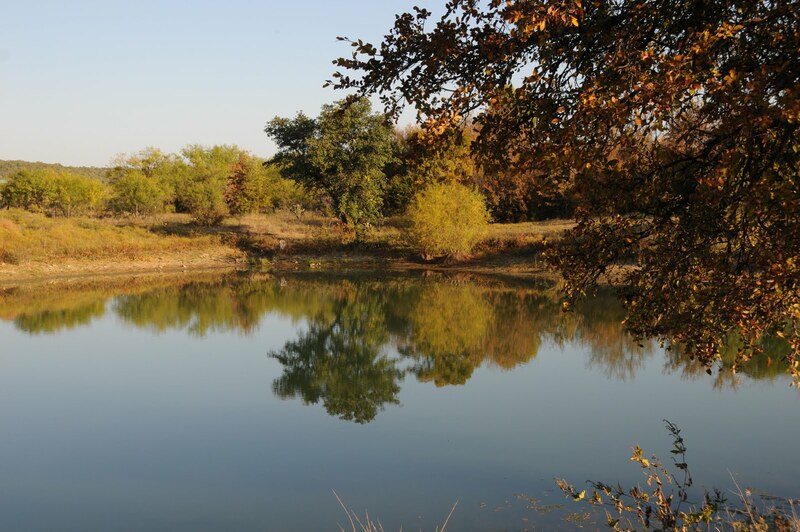 Since 1998, I have looked at a beautiful stock pond along the West Cut of Baird Hill, on Interstate 20, near Baird, Texas, as I have driven to work in Abilene from Mingus, Texas. The pond has deteriorated in health. It was a pond that had rushes of cattails, deep-green sturdy stalks, three to four feet high, lining the pond all the way around except for a few places where cattle could water or a tree had fallen. Ducks would fly in at the first cold snap in October and not leave until February or March. The pond is set among hills on three sides, a spring-fed creek empties into the pond. The interstate highway at the West Cut blockades the downstream portion of the pond, creating a kind of highway dam. Last year and the year before, power poles with transmission lines as big as your arm were erected above the pond and on the hills to the north of the interstate in order to carry electricity from wind farms on the north and east side of Abilene. When the transmission lines were nearly constructed, all the the green rushes along the pond died. The pond lost water and is down about a foot or two. 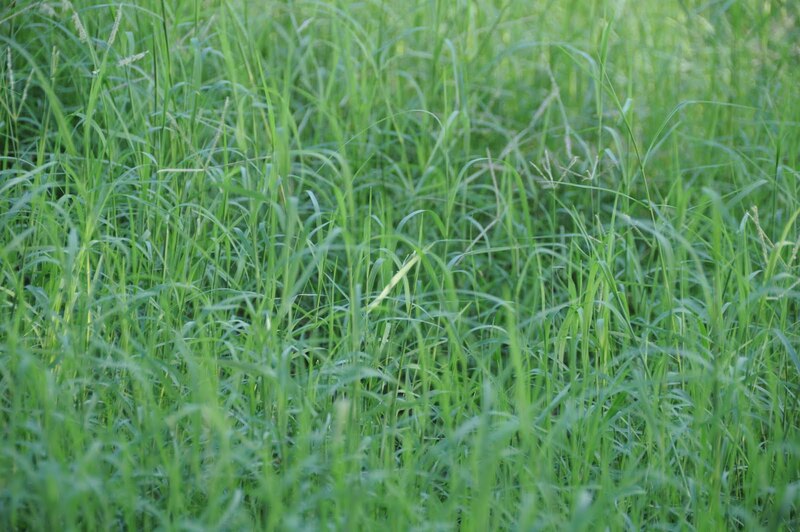 At first, I speculated that the reeds had died as the result of some natural cycle, but that was not correct. The rushes died because of contaminants from the transmission line construction, road construction for the power lines, the wind farm construction, or a combination of all three factors. I did not take a water sample. Not my land. But, the owner of the ranch was just as surprised as I was about the change in the pond. The reeds have not reproduced. So, we have more electricity that is suppose to be clean. It is. But, in the method of setting up clean energy, nature is destroyed. The pond is dying. I will continue to observe the pond and will take photographs from the highway. Hopefully, nature will resurge again along the banks of the pond. And, I wonder if the ducks will stay long? Will they even stop? July 25, 2010, update: The pond has remained unchanged. The color of the water has deepened to a blue-green and is not brown or brackish any longer. The reeds still have not replenished. I will attempt to take some photographs from the interstate for the record. To connect the transmission line construction and the death of the pond is correlative. I may be completely wrong in my hypothesis about cause and effect. More proof is needed. There have been no ducks on the pond as of today. There is a blue heron that comes every afternoon to feed at the pond. The coldest front of the season is to drive temperatures down tomorrow night and Tuesday. Perhaps, then, the ducks will fly in. 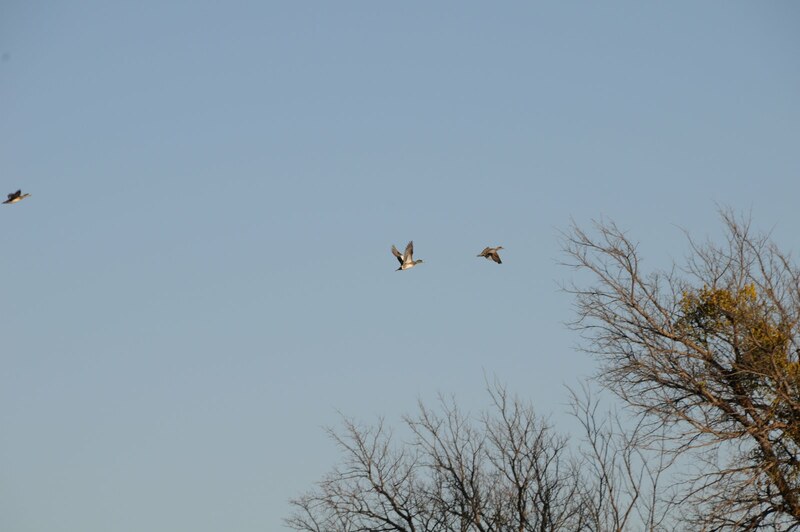 The photograph above, taken by Brenda, shows ducks in flight last winter. I saw a dog as I drove on the highway to work this morning in Abilene, Texas. The dog was a white, shepherd-like dog with long hair. He appeared old as his trot was barely a trot, more of a fast, determined walk. He was intent on staying on the left side of the highway, just a couple of yards out of the lane, a few feet from the grass median. I saw him about fifty yards before I came up along side him. He did not flinch when I passed him by. The traffic was fast at 7:30 a.m. and neither I nor anyone else could have avoided him had he decided to veer into the traffic. But what impacted me viscerally was this old dog’s self-possession and determination to travel south on that road, at that time, to get home. It seemed that his intent to go home was so strong that neither dawn’s light nor the traffic would stop him. Tomorrow, I don’t want to go down that highway and see him dead on the side of the road. I have to take that road; there’s no other highway to work. That old dog better not have gone the way of so many old souls. I may look for another route or go off on the access road. I truthfully don’t know if the old dog was going home. He was old and may have been addled to the point of madness to walk along the highway. But, I would like to think he was headed home after escaping heartless people. Seeing him, determined to go home, struck me viscerally and I frankly moaned at his fate, his momentum, his destiny. Whatever spirit-that-moves-in-all-things should spare that old dog an accident today and carry him to his destination safely with biscuits and bacon and companions-of-old being his due at the end of the road. When Will Duck and Heron Return to the Pond? The photograph above is our stock pond or cow tank that you read a lot about on my blog. It is about fifteen-feet deep, but you can see from the photograph that it is down by three feet or so. That’s not unusual. The horses will wallow at one end of the tank, about where the camera is. When will the ducks come to the pond this year? Last year the first ducks arrived during October when there was a freeze line back up north of Mingus. What will be the date of the first arrival this year? I would like to build a duck blind so I can take photographs. Sometimes ducks come during the summer and warm weather. I think they must come from some of the large lakes around here like those on Celebrity Ranch and Possum Kingdom. I would like to type the ducks and take photographs of them and post on the blog. The health of wildlife is measured many ways. One of the best ways is by a field count. My field count is not graphed on paper, but daily observations occur. I have seen no ducks for several months on the pond, not even the resident ducks that may stay year round at Celebrity or Possum Kingdom. Just as important, I have not seen the Blue Herons alight on the south side of the pond for several weeks. The health of the waterfowl on Flying Hat Ranch is unknown. They are gone for the summer or have relocated. I presume the Blue Heron will return. I shall post about them when they browse in the pond. The health of wildlife? None are present for a field count. 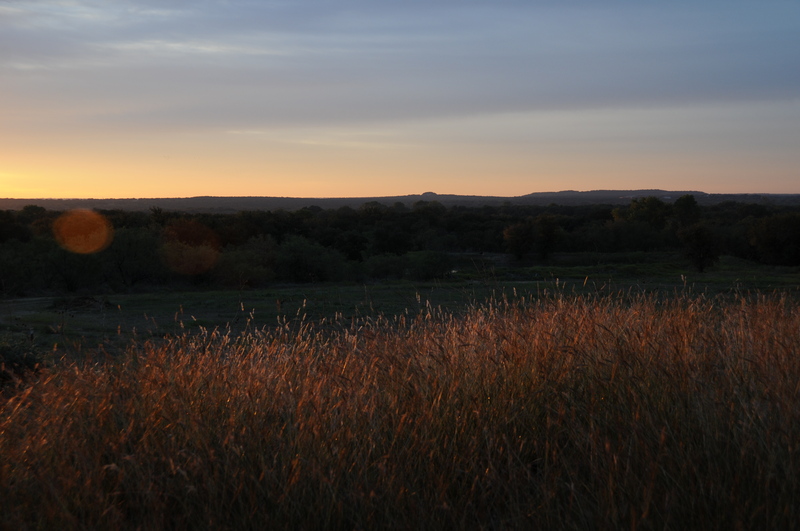 In 1946, my first experience with cattle occurred on the Floyd McRorey Ranch near Cherokee, Texas, San Saba county. I was four years old and the first time away from my family. I slept on a cot beside my aunt and uncle in the master bedroom. My uncle Floyd and his son, John R., ran a cow-calf operation of about forty head of black Angus. He sang a cattle call to bring them to feed: “Whooooooie, su, su, su!” He repeated the call twice more. Cattle came running and he would count. The last time I saw Uncle Floyd in 1977, he was spraying the cattle for ticks. As a boy, I visited my aunt and uncle, staying days, even weeks. The ranch was the second or third ranch on County Road 407, north of Cherokee. The house was white clapboard with three bedrooms and a grand room with dining table at one end, living room at the other. A flower garden, lawn, and oak trees surrounded the house. A windmill stood outside the fence surrounding the house. The master bedroom had floor-to-ceiling windows facing south and Aunt Lennie had five or six shelves holding African violets across the windows. Floyd took a nap after lunch everyday so that he go back out in the field to work. Before napping, he could look out of the bedroom window and see the oak trees and cattle when they grazed. After I had seen Floyd the last time in 1977, a few months later, he ate his lunch, went to the master bedroom for his customary nap, and died in his sleep. 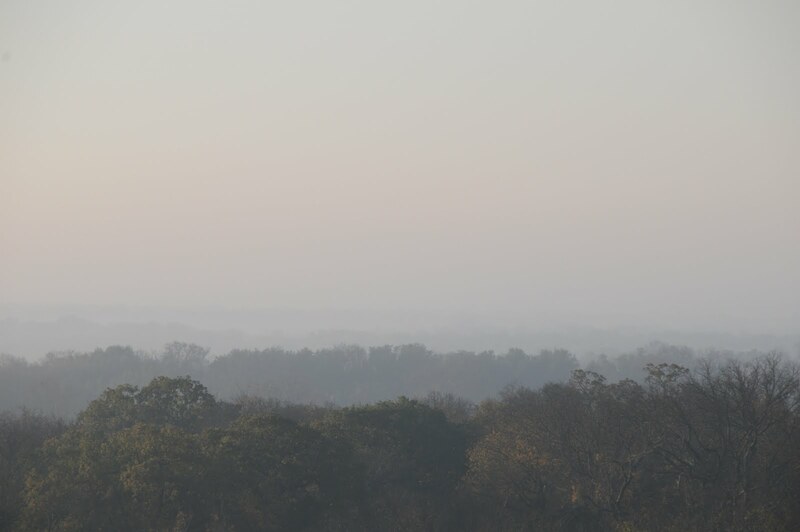 Before falling asleep, his last visual must have been violets, noonday sunshine, oak trees, and his Angus cattle, a scene to carry for eternity. Floyd’s Angus were very dear to him. His son, John R., told me that he thought his dad loved those cattle more than him. John R. laughed at the rivalry for he knew how much Floyd loved him. When I had a herd of twenty-seven Angus-cross on our place, I called the cattle with, “Whoooooie, su, su, su.” In reflection, I thought of my uncle and how he husbanded his Angus and his family and me, a blond-headed kid that always asked too many questions. Of all the days and nights I spent with uncle Floyd and aunt Lennie, there were no unkind words directed toward me or others in their country home. 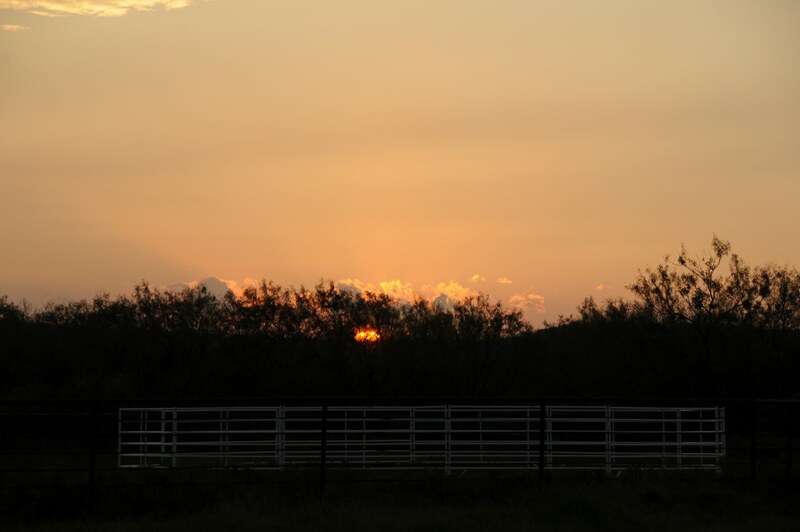 There was silence, a lot of it, and we would get up in the morning with the sun, listen to the weather report and markets from WOAI radio in San Antonio, and then to the fields. When Angus Number 27 on my place became ill, I sped him to the veterinarian. He survived his illness and recovered his eyesight. The 27th heart, as I call him, made it back with the herd because I remembered how Floyd cared for his cattle. A cycle complete, I was tending a herd sixty years later the same way Floyd watched his Angus and lived with the land in Cherokee, Texas. When you want contentment in your life, you need a companion. 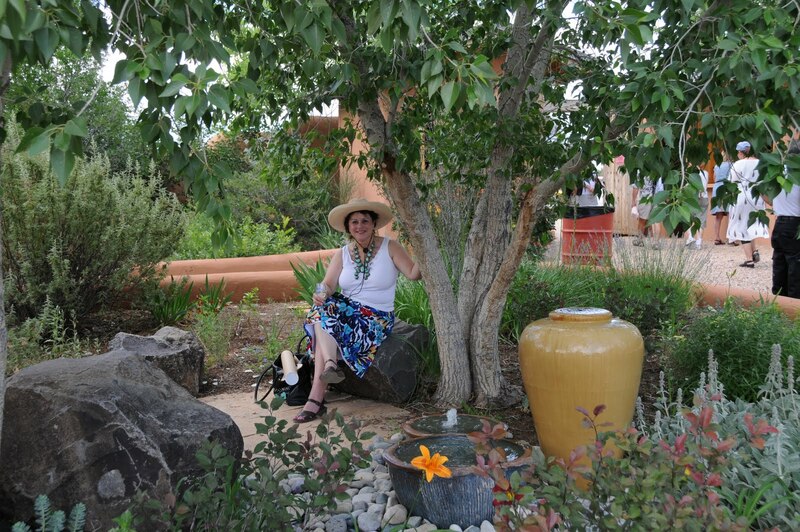 Pictured above is Brenda Matthews, seated with a glass of New Mexican white wine beneath a shade tree at El Rancho de Las Golondrinas. Jack Matthews, a.k.a. El Guapo, accompanied Brenda to the Santa Fe Wine Festival. They partook and were content as companions. Brenda liked the herd of cattle we managed on our place in Texas. I mean, she liked working the cattle so much that she insisted on going with me to feed, and, on occasion, I had to stop her from going and feeding by herself. For some odd reason, she loved the Angus, the baldies, and would pitch in there and feed and manage them in the chute. I never thought that would happen with Brenda. But it did. Number 27, for whom this blogsite is named, was part of that herd. So, when you look at the photograph above and see a skirted female drinking white wine under the shade tree at Las Golondrinas, please do not assume there sits a shrinking violet, a faint heart, but there rests an American woman who is capable of managing cattle on her own. Number 27 always liked to come to her cattle call. Companions aren’t always hominid.